What is credibility and why does it matter? Lack of credibility is the main reason that asylum claims are refused by the Home Office. This means that the Home Office does not believe you have a well-founded fear of persecution – either because they don’t believe you are telling the truth about what has happened in the past, or that you are not really a member of a category of people that has been proved to be likely to face persecution. The Home Office may decide you are not credible if there are inconsistencies in your account of why you had to flee your country (for example, between statements made in your asylum screening interview and asylum substantive interview). Even if you are entirely consistent, however, the Home Office may say that your story isn’t believable, isn’t something that is likely to have happened. At the point of the asylum substantive interview, many asylum seekers will not have documentary evidence to demonstrate that they are likely to face persecution if they are returned. This means that what you say in the asylum interview – your testimony – will be compared to what you said in your screening interview, and compared to independent evidence about the situation in your country. The Home Office decision-maker will then decide if they believe you, and whether you need protection in the UK. Even if you are able to source documentary evidence later in your case, if the Home Office (and maybe the courts) have found you to be ‘incredible’ already, it is harder to win your case. Despite Home Office and UNHCR guidelines warning against assessing credibility on the basis of “knowledge testing”, it is still used by decision-makers during the asylum interview, as this recent report by the Guardian highlights. For example, a man claiming asylum on the grounds he had converted from Islam to humanism and risked being killed if he returned to Pakistan was refused partly because he could not identify “any famous Greek philosophers who were humanistic”. A June 2016 report from the All Party Parliamentary Group (APPG) for International Freedom of Religion or Belief also found “knowledge testing” to be common and highly flawed. We wrote about this on the blog here. 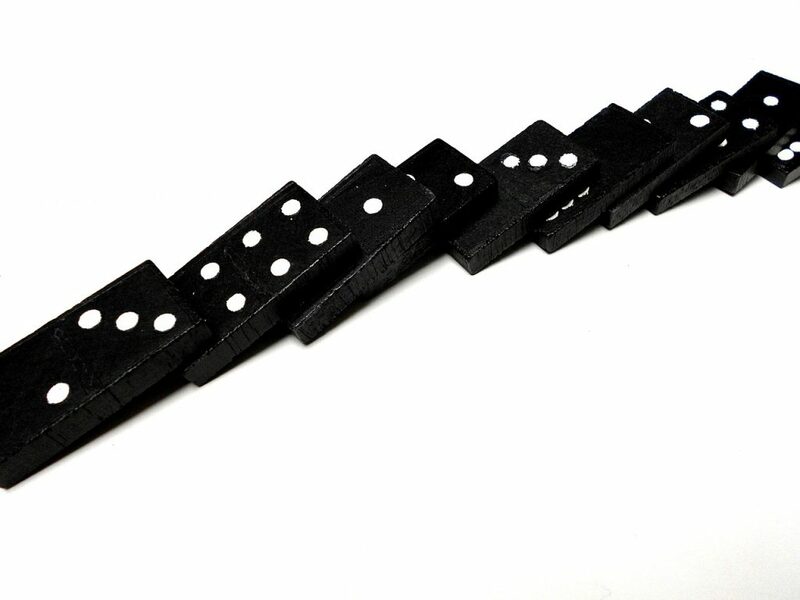 In Amnesty International’s 2013 report on credibility assessments in asylum claims, they helpfully give examples of the “domino effect”, in which a Home Office decision-maker focuses in one part of the case that they think is inconsistent or implausible and then use this as the basis for undermining other aspects of the individual’s account. How does the Home Office assess credibility? Home Office decision-makers should be using the 2015 Home Office policy instruction on assessing credibility. You can find it here. Unsurprisingly, it is very common for the Home Office not to follow this guidance (including in the examples we wrote about here). This may be a basis for challenging a Home Office refusal of an asylum claim. The burden of proving the asylum claim lies on the person seeking asylum, but the standard of proof (in theory) is meant to be low. The Home Office should be assessing whether there is a “reasonable degree of likelihood” the person seeking asylum is telling the truth, also described as a “real possibility” or “real risk”. People with experience of the asylum process may be surprised by this threshold, as it rarely feels like the standard of proof is low. The asylum interview figures very highly in their considerations, as you can see from looking at people’s “reasons for refusal” letters. “A claimant’s testimony may include lies or exaggerations for a variety of reasons, not all of which need reflect adversely on other areas”. 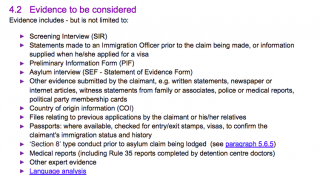 If you have an asylum claim refused, it might be useful to remind the Home Office of this, as they are very likely to use what they see as lies or exaggerations to refuse your claim (see the domino effect, above). Read more about what the Home Office means by these points in the “credibility indicators” section of the policy instruction (section 5.6). On plausibility, caselaw has acknowledged that judging the plausibility of events in another country in circumstances that may be completely beyond the personal experience of the decision maker is very difficult. The distinction drawn between probability and plausibility is an important one. It may be improbable that when two dice are thrown the outcome will be a double six. It is perfectly plausible, however. Improbable things happen all the time. The ebook contains a whole section on plausibility and we highly recommend reading it. You can find it here. Read more about the judgment in this case on the Free Movement blog here.